Have An Osceola County Appraisal Question ? In 1821 Florida was divided into two counties (Escambia & St John’s). 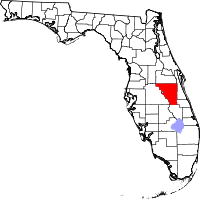 In 1887 Osceola became its own county having been created from both Orange County and Brevard County. Osceola County has boomed over the last 50 years and has become a major county within Central Florida. In Osceola County we appraise single family homes, condos, condominiums, vacant land, houses, manufactured homes, mobile homes and modular homes all over Central Florida.